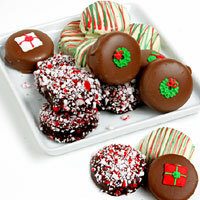 Make any celebration this winter brighter with these decadent treats! We've taken rounds of our signature chocolate and vanilla cakes and dipped them by hand into baths of irresistibly smooth Belgian chocolate. 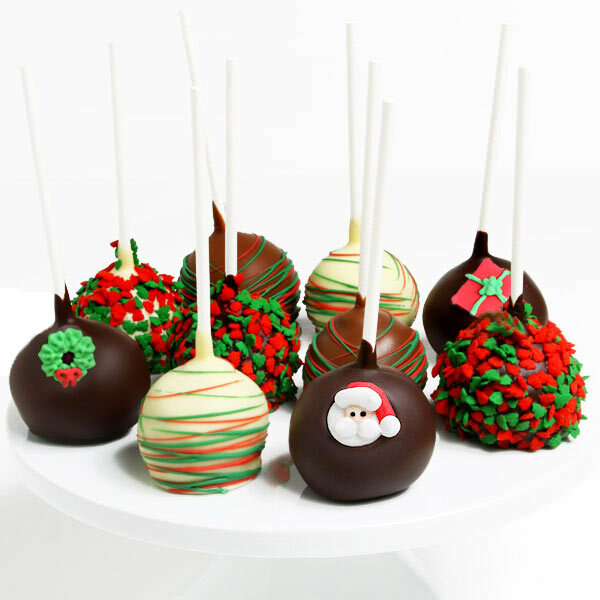 Each pop is then festively embellished with stocking-shaped candies, bright sprinkles, or ribbons of silky chocolate confection.